IDW COVER OF THE MONTH: G.I. 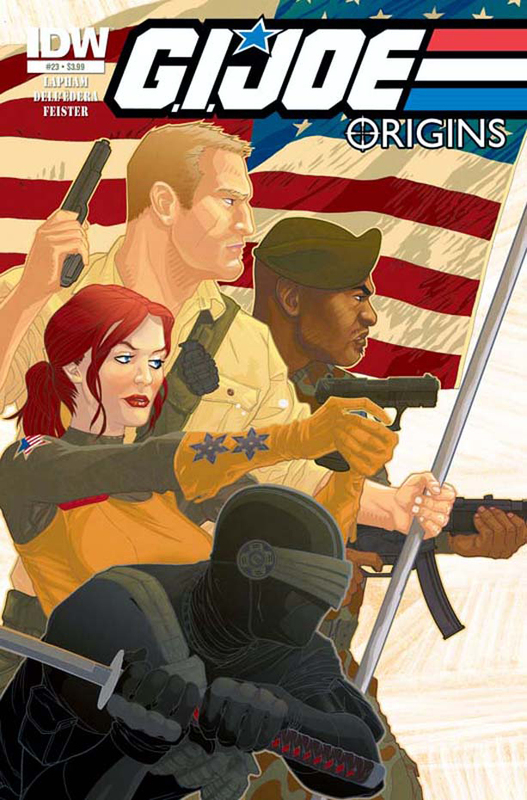 JOE: ORIGINS #23 - Tom Feister Something tells me IDW are on to a good thing with this guy. He has a great distinctive style and a natural talent for clean, bold images. While the core Joe's are cool, does no one remember the likes of Dial-Tone, or Law and Order? 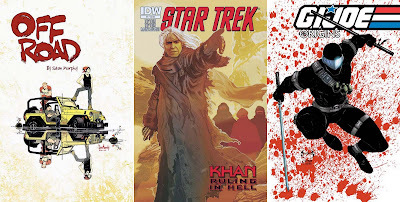 ARTIST AND TITLE (Left to right): Sean Murphy - Off Road, Michael Stribling - Star Trek: Kahn: Ruling In Hell #4, and Tom Feister (again) - G.I Joe Origins, Vol. 4. For more on IDW's January solicitations hit the jump. Thanks, Dan! Very kind of you! Not as kind as you dropping in and commenting Tom - thanks heaps! Look forward to seeing what you crank out next!